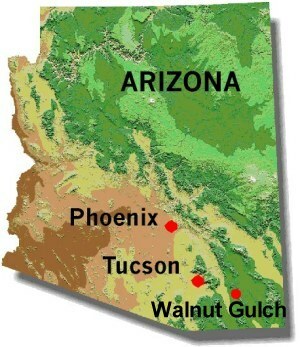 July 5, 2007 - Arizona records the highest temperature ever recorded in the state: 128 degrees Fahrenheit, matching the high temperature record set--also in Lake Havasu--on June 29, 1994. High and low temperature records are set every year somewhere in the world, so the fact that Arizona recorded a new high temperature during the Climate Decade does not particularly support nor contradict human-caused climate change. However, records indicate that new high temperature records are now being set about twice as frequently as cold temperature records. This is a change over the last couple of decades, when low and high temperature records were being set at about the same frequency. This increase in the ratio of high to low temperature records is very consistent with what climate change predicts.